Your indoor air quality in your home can be one of the most important factors to your health, along with the health of your family. It is estimated that the air quality of residences in the Ottawa area are over 25 times as polluted than the air outside. Making the choice of having your air ducts cleaned can offer some great benefits and results for your indoor air quality as well as for your furnace and HVAC system maintenance. Our Method is Superior To Our Competitors, Here’s Why! 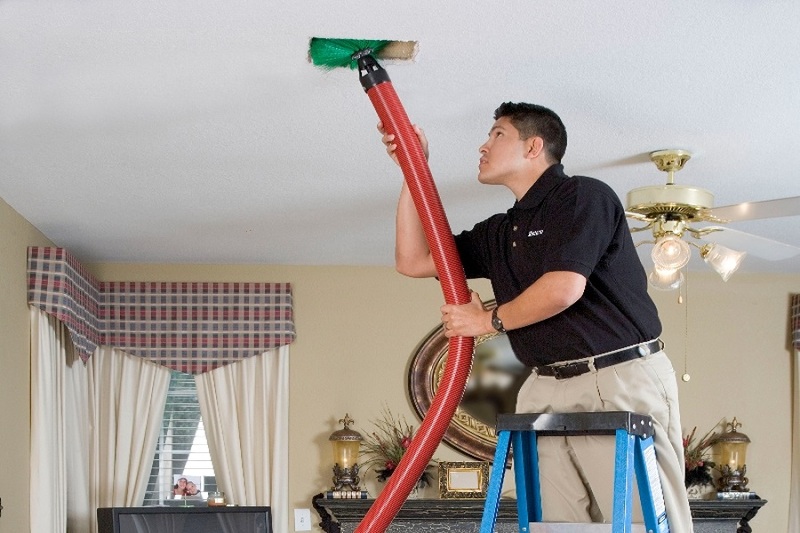 Most Ottawa duct cleaning services use what is known as the “push-pull” method. This method cleans about 75% of the particulate in the duct work. However there is always a fair amount of residual that is left behind. Our method of duct cleaning includes pressure washing the duct system with a non-toxic, natural anti-bacterial product. This eliminates virtually all of the airborne particulate that is present in the ducts. For those who have respiratory issues, or allergies, our method is by far the better choice. ECO-PRO prides itself on it quality in service, backed by our team of indoor quality experts. Some of our team members are engineers, with advanced knowledge above and beyond what our competitors offer.